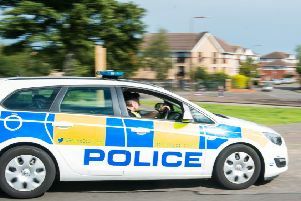 Two men, aged 19 and 20, have been arrested in connection with a serious assault which took place in the city’s George Street in the early hours of this morning. The incident happened at about 3.20am, close to the road’s junction with Frederick Street. A 39-year-old male received serious injuries as a result of this morning’s assault. The victim was initially taken to the Edinburgh Royal Infirmary but has since been transferred to the Western General. A police cordon was erected near the premises of Jack Wills, Fat Face and Sweaty Betty half way along the busy city centre thoroughfare.